Controller has large 1" high LCD digital display in water resistant housing. Rugged load cell weighing technology with 300, 500, or 1000 pound capacity. Weight resolution up to 0.1 pound. Built-in visual alarm and audible alarm with silence function. 0-100% of full scale tare weight adjustment. 0-100% of full scale alarm set point adjustment. Both large and small platform sizes available. Easy unit conversion from pounds to kilograms. The pressure of a liquefied gas remains constant as material is withdrawn as long as a liquid phase remains in the cylinder. When the liquid phase is exhausted the pressure drops very quickly and the cylinder empties without warning. This phenomenon renders a cylinder pressure gauge virtually useless. A similar situation arises when using cryogenic containers of liquid nitrogen, oxygen, and argon. The only way to monitor the contents of a cylinder of liquefied gas or a cryogenic container is by weight. The Series 620 and 320 electronic scales are designed to give a positive indication of the amount of product remaining in the cylinder as material is being withdrawn. These units allow the user to electronically subtract the tare weight of the cylinder so that only the net contents can be read directly. The built-in alarm can be set for any weight value from 0-100% of the scales capacity. The units provide a red LED visual alarm and an audible alarm with silence function. An integral solid state relay is provided for the activation of external alarms or other equipment when the alarm set point is reached. 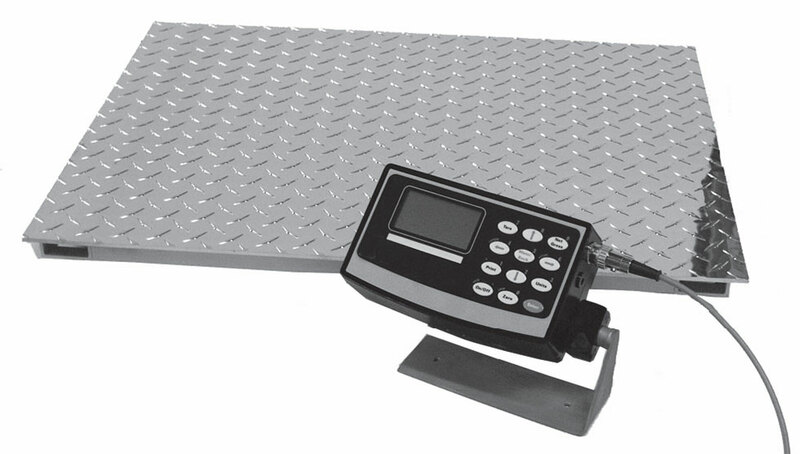 The scales are ruggedly constructed using one or more load cells in a sturdy stainless steel and/or aluminum diamond plate platform with mechanical stops at 150% of capacity to prevent damage. The model 620G-300 with a capacity of 300 pounds has a 9.5" x 9.5" stainless steel platform that accommodates most compressed gas cylinders. For larger diameter cylinders, the 320DL-500 is available with a capacity of 500 pounds has a 36" x 36" diamond plate steel platform. The model 320ML-1000 has a 1000 pound capacity and accommodates cryogenic containers with its 36" x 36" aluminum diamond plate steel platform. A ramp is available for each model so that cylinders can easily be rolled on and of the scale platform without lifting. Recommended for use with all liquefied and cryogenic containers in applications where running out of gas will cause a serious disruption in operations or a loss of product.